The Leuser Ecosystem in Indonesia is one of the most biodiverse ecosystems. The 6.5 million acres of tropical lowland rainforests stores vast amounts of carbon in its peatlands and forests. It is under threat despite being protected by Indonesian law. One of those threats is the palm oil industry, as a recent Rainforest Action Network (RAN) report details. Conflict palm oil in particular is a threat. Conflict palm oil refers to palm oil produced through destruction of rainforests and peatlands and the violation of human rights, which includes the use of forced labor and child labor. Conflict palm oil can’t be traced back to its origin, and is increasing inside the Leuser Ecosystem. 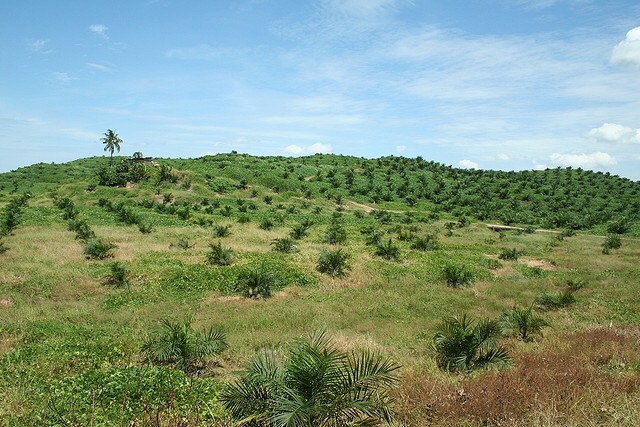 The report finds evidence connecting a refinery owned by the Musim Mas Group and the Indonesian government’s state-owned palm oil plantation company, PT Perkebunan Nusantara (PTPN) III, to a mill that processes palm oil fruit grown in the Leuser Ecosystem. Musim Mas Group is a large company that has plantations and factories and ships palm oil around the world. “The Leuser Ecosystem is one of the world’s most richly biodiverse landscapes, and millions of people depend on it for their food, water and livelihoods. But the fate of this crown jewel of Indonesia’s natural legacy - home to tigers, orangutans, rhinos, elephants and sun bears - depends on urgent choices made right now,” said Gemma Tillack, agribusiness campaign director with Rainforest Action Network. There’s a growing demand globally for palm oil and that drives the destruction of the Leuser Ecosystem. Palm oil is in a myriad of products such as cookies, ice cream, shampoo, lipstick and pet food. Most of the world’s palm oil supply comes Indonesia and Malaysia. “The Leuser Ecosystem is now an epicenter of palm oil plantation expansion and combined with unchecked mining, logging, industrial pulp plantations and poaching in the region, this vital ecosystem is facing a perfect storm of destruction,” the report states. Consumer good manufacturing companies that buy palm oil are at risk of purchasing conflict palm oil grown in the Leuser Ecosystem. The report lists what it terms Snack Food 20 companies which have combined sales of $432 annually. These are the companies who have not adopted and implemented responsible palm oil procurement policies. The list includes PepsiCo, Kraft Foods Group, The H.J. Heinz Company, The Campbell Soup Company, Hillshire Brands, Grupo Bimbo, Nissin Foods and Toyo Suisan Kaisha Ltd. The report recommends that palm oil growers ensure that they palm oil they produce meets responsible production requirements. The report also recommends that companies that buy palm oil need to source it from third party suppliers verified as compliant with responsible palm oil requirements.